Ayudha Pooja is Coming on 16 October 2012 and Navratri Starting on this Day. Ayudha Mele(Fair)is mainly dedicated to the worship of instruments which are used as the source of earning. 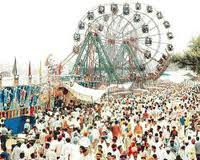 Different regions in the state follow different traditions for celebrating this festival but the festival is celebrated across the state of Uttar Pradesh. There is also trend of worshipping weapons in some communities as well as Goddess Durga on the occasion to thank Goddess for living a peaceful life. Worship of weapons and tools depict the respect towards the tools which helps in earning. In modern time, people also worship their vehicles and cooking vessels on this day. Some communities mark the festival by visiting temple of Ram and Sita and paying offerings to God, the Durga puja depicts the celebration of victory of good over evil. Ayudha Puja, or Ayuda Pooja, is observed on the ninth day of Navratri festival, mainly in South India. 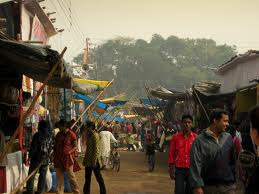 It is also part of the 10- day Dusshara festival in North India. In 2010, the date of Ayudha Puja is October 16. Literally, Ayudha Puja means the worship of weapons. Nowadays, Ayudha Puja means ritual purification of the tools that one use to make a living. 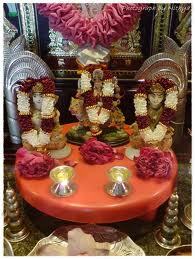 Saraswathi Puja and Ayuda Puja are observed on the same day in South India. Goddess Durga carries numerous weapons which were given to her by various male deities. Therefore there is a belief that the weapons carried by Durga represent the various forces in Nature – Durga’s energy rests in these weapons. 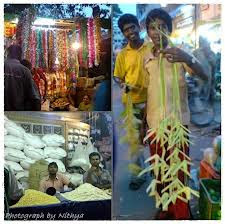 16 October, Ayudha Puja is the day when Hindus keep the tools and objects that are used to make a livelihood for pooja. The tools and implements are not touched on the Ayudha Puja day. It is only taken on the next day morning with renewed vigor after the blessings from Goddess. Which tool one keeps during Ayudha Puja depends on his/her trade - this can be laptop, desktop, cycle, autorikshaw, screwdriver, sewing machine etc. Nowadays, people also do not use vehicles on the day. Cars, scooters and bikes are also kept for puja. Children and people who are associated with art and literature also participate in the Ayudha Puja; they dedicate the prayers and pooja to Goddess Saraswathi. This is referred as Saraswathi Puja. Here too people abstain from touching books and other written materials. Visiting temples dedicated to Hindu Goddesses is an important part of Ayudha Puja. Special poojas are also performed at home by elders and books and tools are kept for puja.